Taking a manatee’s temperature: Trickier than it sounds! Photo: Resident Mote Manatee. Credit: Conor Goulding/Mote Marine Laboratory. 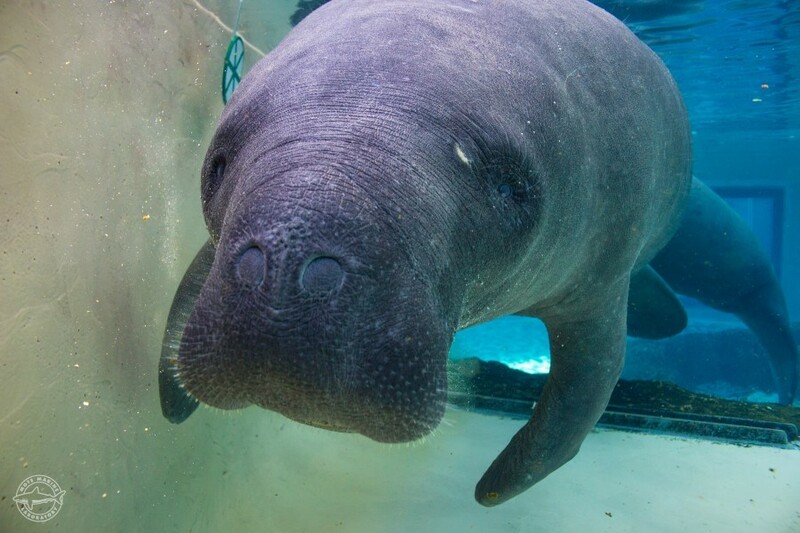 Manatees can sicken or even die from cold-stress syndrome when winter temperatures plummet in Florida. Why are these big mammals so cold-sensitive, and how can we take their temperatures? On this episode, Dr. Nicola Erdsack shares some emerging answers; she and her colleagues are investigating new methods to detect temperature change in manatees, and those methods have the potential to benefit manatee rehabilitation and even research in the wild. Erdsack is an international Postdoctoral Research Fellow at Mote whose work is supported by the German Research Foundation (DFG).